NEW YORK — It’s been rumored for quite a while, but Honda finally unveiled the production version of its new pint-sized SUV at the 2014 New York Auto Show. 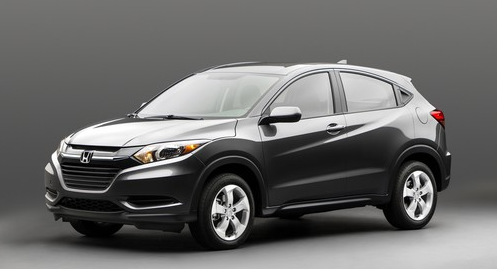 Based on the platform of the recently introduced 2015 Honda Fit subcompact car, the HR-V will slot into Honda’s lineup below the current CR-V “in both price and size,” says the company. That would likely put it somewhere between the Fit’s base price of $16,315, and the CR-V’s starting sticker of $23,775 (both figures include destination). Like the new Fit, the HR-V will be built at a recently opened plant in Celaya, Mexico, and feature Honda’s second-row Magic Seat, in which not only does the seat back fold down, but the seat cushion folds up to create a tall, crosswise channel behind the front seats. Unlike the Fit, however, the HR-V will likely offer all-wheel drive. The Honda Urban Concept, shown at the Detroit Auto Show earlier this year gave us a good idea of what the HR-V might look like. 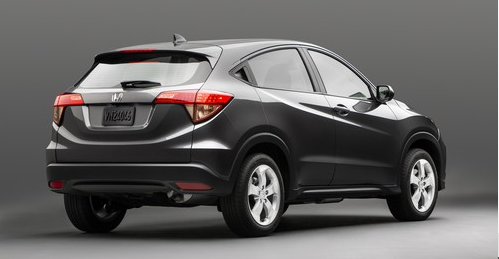 Honda says the HR-V is expected to go on sale this coming winter. CG Says: As what used to be “compact SUVs” have crept up in size of late, companies are starting to slot smaller models in below them. (Witness the Chevrolet Trax, introduced earlier at the New York Auto Show, and the tidy Buick Encore) For many, these vehicles’ smaller size and commensurately lower price make them very attractive, and we can’t wait to get our hands on them. Written by: Rick Cotta on April 17, 2014.on February 14, 2019.